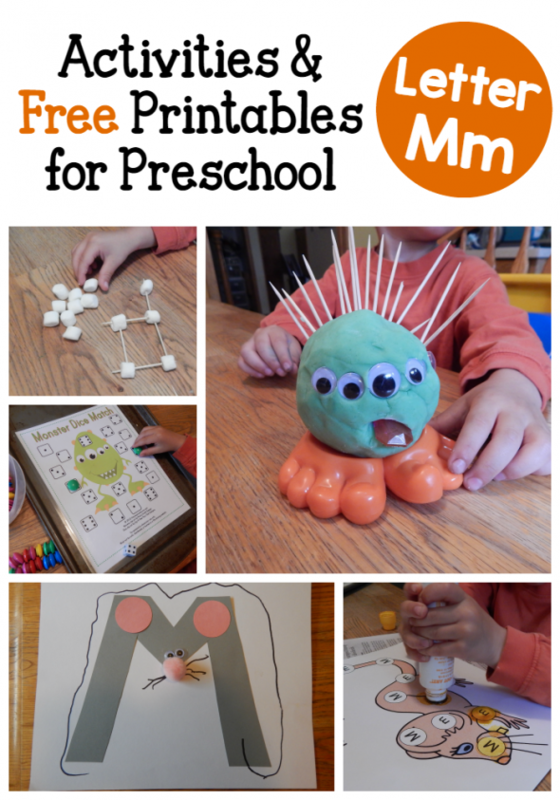 Are you looking for letter M activities to use with your preschooler or kindergartner? Maybe you’re a classroom teacher browsing for more ideas. Thank you so much, Ashley! That has been my exact goal, to be a “go to site” for preschool teachers and parents teaching their kids at home. Of course I’ll be much more of that when I finally get the whole alphabet done… just welcomed a new bundle to our house (a week old tomorrow! ), but hoping to still complete the alphabet by the fall. Thanks so much for your encouraging words! I LOVE your site!!! There is so much valuable information here! I, too, am a former teacher, turned stay at home, homeschooling mom. However, I never had to teach the alphabet. 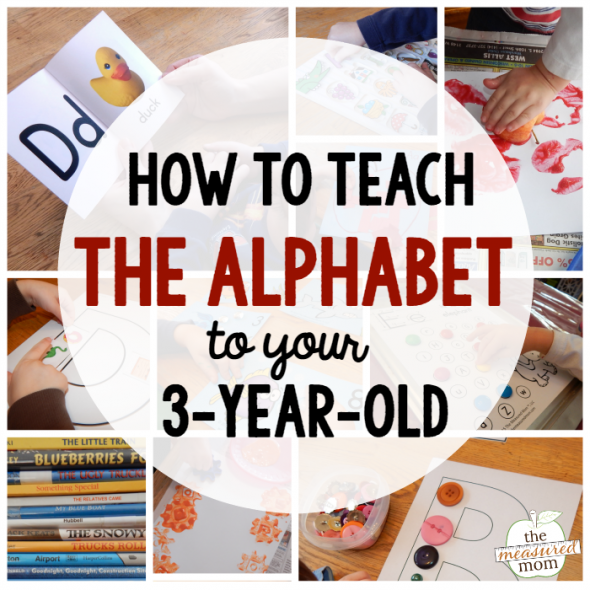 When teaching the alphabet to littles, do I teach capital letters, then lower case or both together? My little guy turns 3 this summer. As with most teachers/homeschooling moms, I am planning, planning, planning! Thank you for all your AWESOME work! P.S. I hope you are able to get around to the rest of the alphabet. I hope you are enjoying a healthy baby and self! Hi Holly! So glad you found my site, and hope you keep finding stuff you can use! As for teaching the alphabet, I prefer to teach uppercase first because they’re easier to write. Some people do lowercase first because that’s mostly what you see in books. However, I think if you start early enough (as in 2 or 3 years old) you’ll have plenty of time to teach lowercase before they are reading. If your little guy is a quick learner, there’s nothing wrong with teaching both together either. The only reason I’d caution against that is if it causes confusion. This is all my experience as a mom by the way… I taught first grade and above in the classroom. And yes I am absolutely planning to do the rest. We are finishing up letter O this week and then it’s on to letter G… hopefully sometime this fall we’ll be done! Anna, I also teach older 3’s, young 4’s. I LOVE your handwriting tips and practice sheets (the multiple sizes one). Between you and thisreadingmama.com this year has been great! 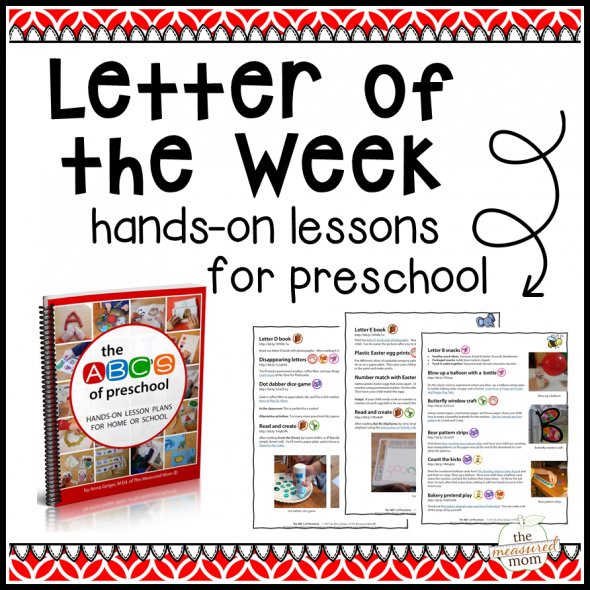 I also use Heidi songs (letters and sounds, numbers and shapes, and sight words) as well as zoophonics, so my kids are set! Thank you so much for seeing this as a ‘mission field’ and helping those of us who didn’t get a M.Ed. My daughter claims she wants to homeschool (we’ll see–she may follow in your footsteps and use the parochial schools for K on up when the time comes, as she wants lots of kids!). I have already told her about your website. 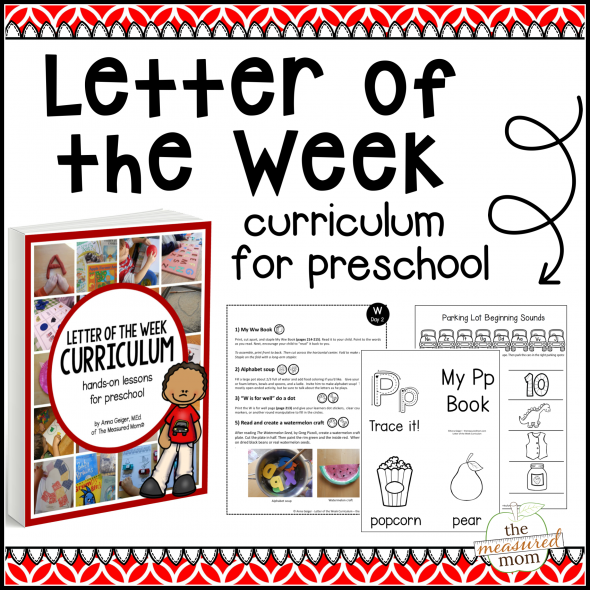 Chanced upon your blog/website when I was searching for activities for letter m. Lots of useful ideas here. Thanks for sharing. You’re very welcome, Raudha, and I hope you keep finding things you can use here!